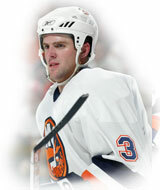 8 years ago tonight (2006): Tom Poti scored a power play goal just 23 seconds into overtime as the Isles rallied from a 3-2 deficit (after giving away a 2-0 lead) for a 4-3 win over the Stanley Cup Champion Carolina Hurricanes on Kids Opening Night at the Coliseum (h/t @CordLehman). Alexei Yashin assisted on all four Islander goals; it was the 14th (and final) 4+ point game of his career. Poti also drew an assist on Mike Sillinger’s goal with 3:10 to play that forced overtime. Rick DiPietro made 37 saves for the Isles in his first game back after suffering a groin injury 11 days earlier. Justin Williams scored twice in a 1:50 span for Carolina. "Ricky played a great game," Sillinger said. "Our team showed a lot of character. My job in the room is to create excitement when we're down." It was DiPietro's first home game after signing his 15-year contract. DiPietro noted "Give Sillie credit. His goal gave us a boost of energy. It's just nice to get the win and we absolutely needed the two points." It was the 5th career overtime goal for Poti, and the only one that he would score as an Islander. Also on this date: (1972) In the first-ever regular season meeting between the teams, the Rangers beat the Isles 2-1 in front of the first-ever Coliseum sellout. Vic Hadfield and Bobby Rousseau sandwiched goals around Craig Cameron’s tally for the Isles. Billy Smith fought with the Rangers’ Rod Gilbert. 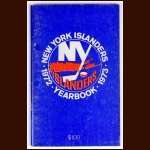 All-time, the Isles have played eleven October 21st games at the Coliseum and have compiled a 5-4-1 record on this date at 1255 Hempstead Turnpike in Uniondale. The twelfth and final October 21st home game is tonight –as the Isles host Toronto at 7:00. Make sure you’re there, because after tonight, there are only 38 regular season games remaining.